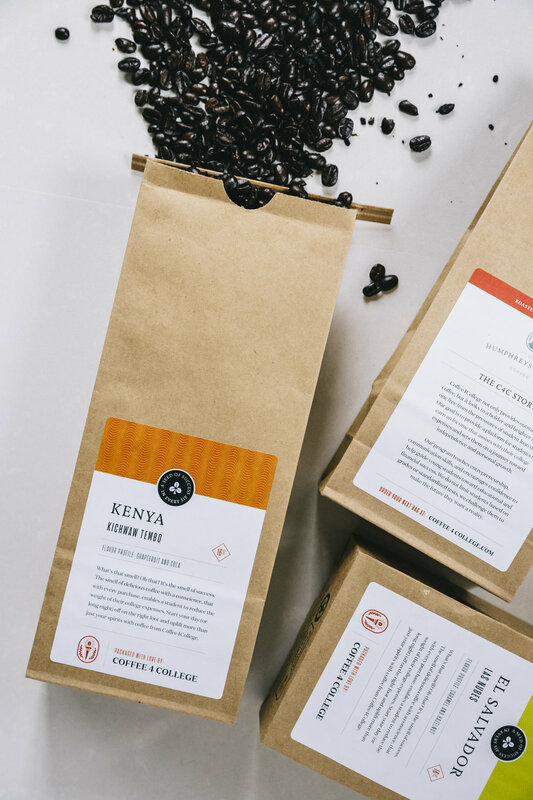 Coffee4College is a youth-powered social enterprise aimed at helping students lower the cost of college tuition—one bag of coffee at a time. After winning a grant to pursue their vision, CEO Greg August and COO Derrion Malik Hall charged Ships Company with steering their marketing strategy. We collaborated with them to create a sort of business starter kit: a distinct brand identity, an attractive packaging system and an online presence that allows customers to order directly from the site. As with most startups, the task came with a budgetary challenge: Design packaging that would feel right at home alongside luxury brands but would also be easy to maintain internally and utilize materials that wouldn't break the bank. 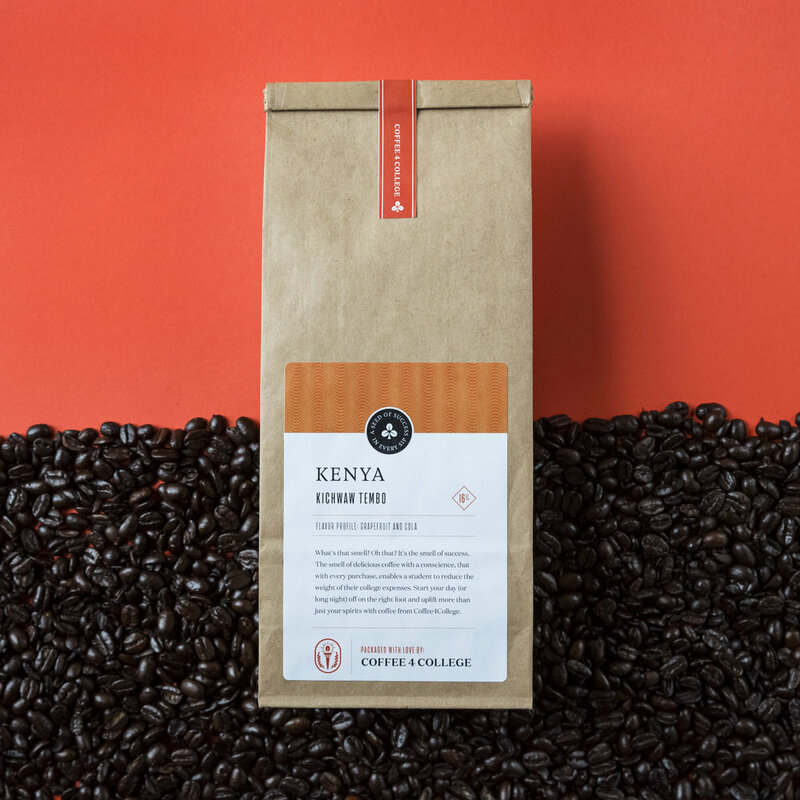 The system we created uses interchangeable and customizable labels that are elegant yet simple enough to eliminate the need for an in-house graphic designer. 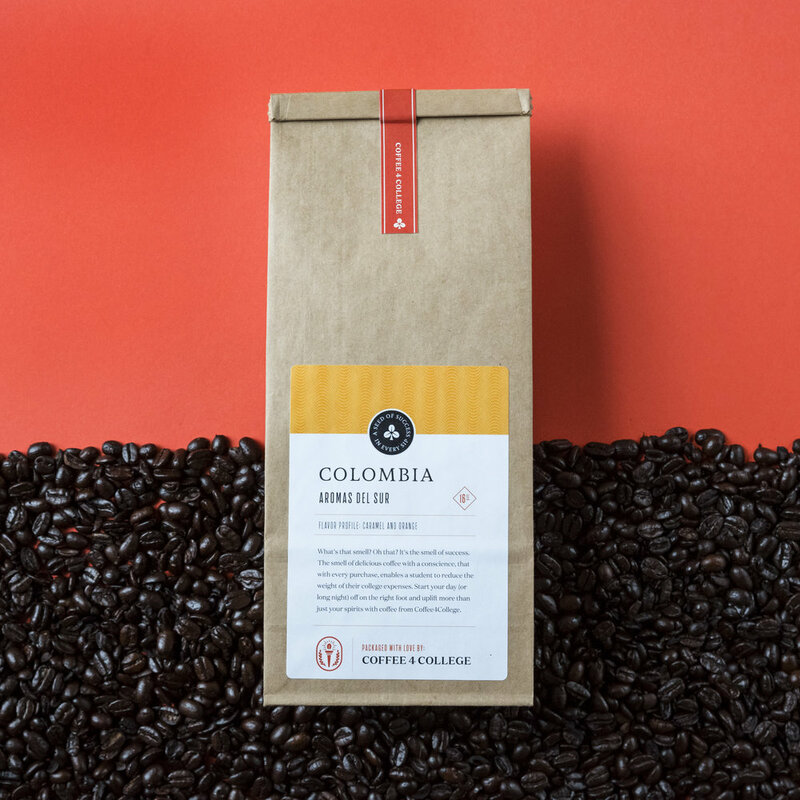 A palette of six colors rotates every two months to accommodate the ever-changing supply of coffee beans from around the world. 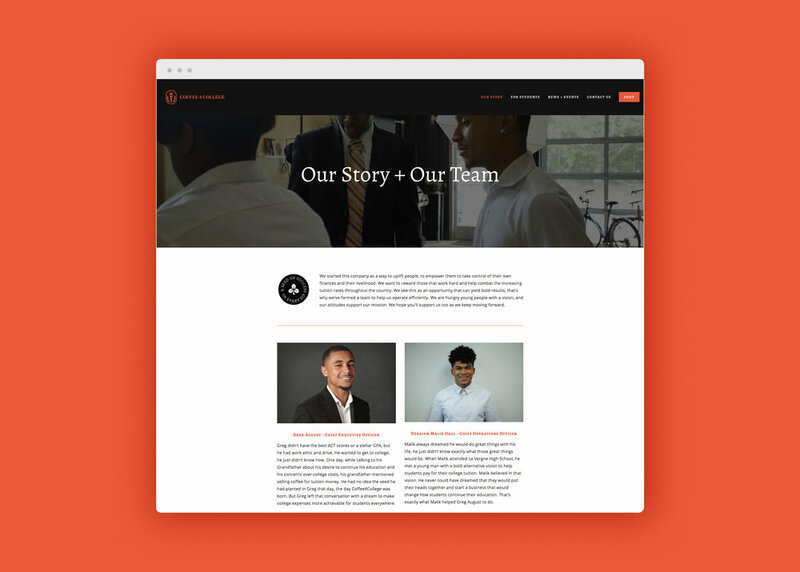 Photography: Sam Angel + Montez Mickles • Copywriting: Ariel Klontz + Ships Co.
Building Coffee4College’s website in Squarespace makes maintenance simple and enables the company to process online orders with ease. Ships Company provided art direction for the photography, photographed the team in our studio and facilitated written content for the site. 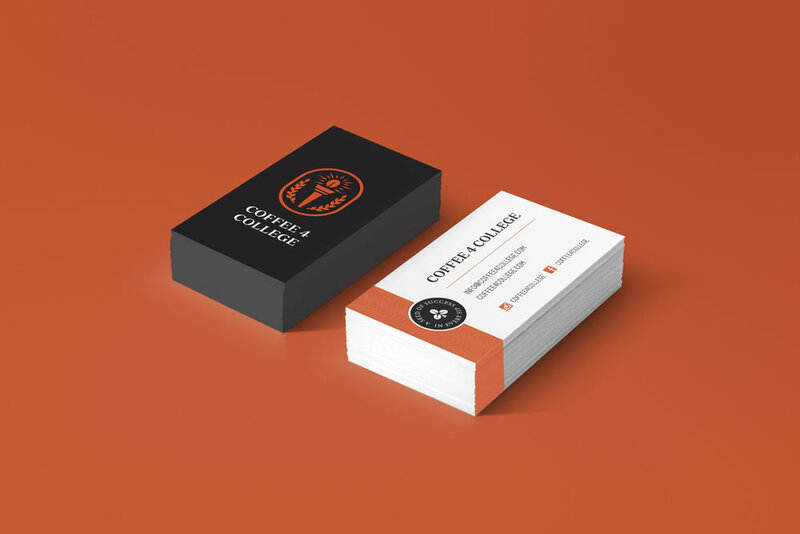 Using dynamic language and striking visuals, we established a tone that embodies the energy and attention to detail that Coffee4College imbues. 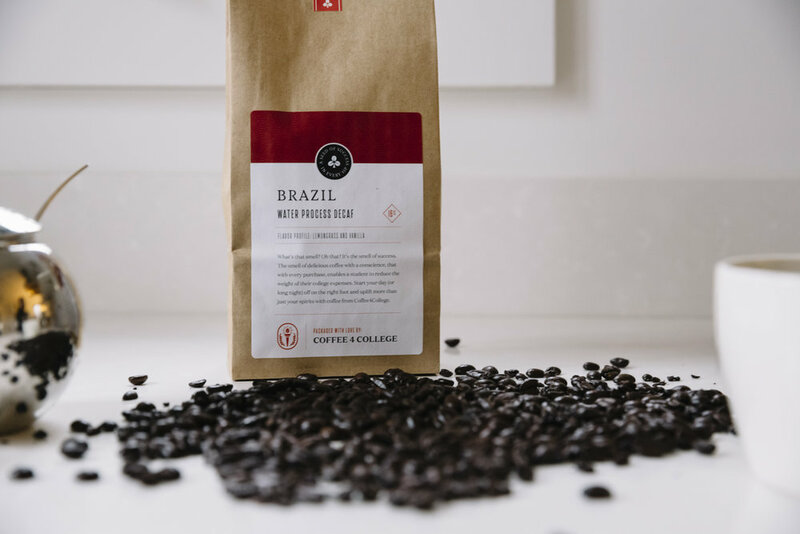 "Coffee4College not only provides outstanding coffee, but it looks to create a bolder and brighter future, one free from the pressures of student loan debt. Our goal is to provide a platform for students to earn an income that assists with their college expenses and sets them on a journey toward independence and personal growth. 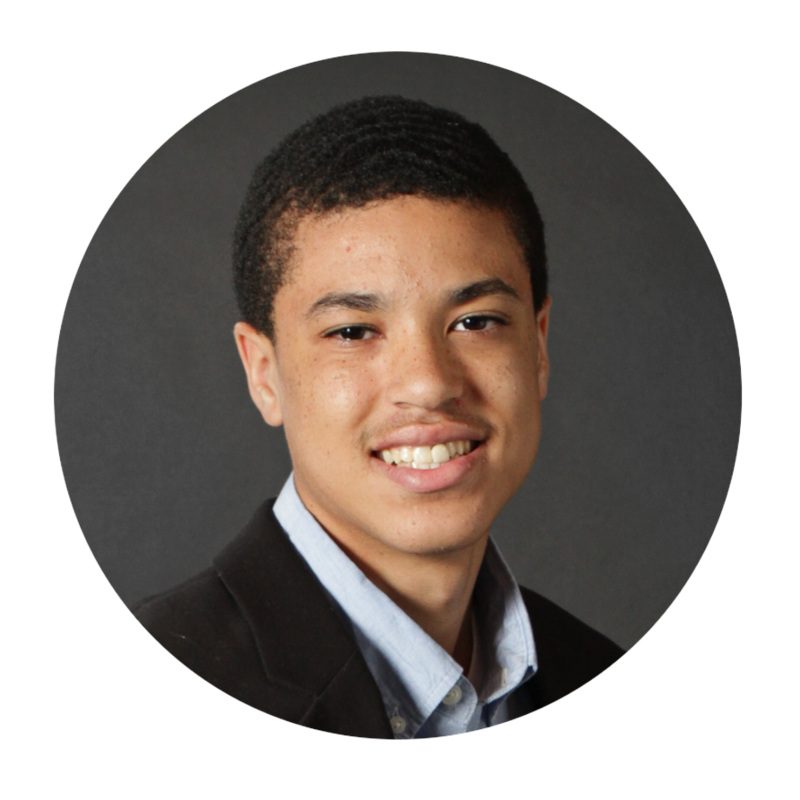 Our program teaches entrepreneurship and communication skills, and encourages confidence to help guide young students toward educational and financial success."